Position yourself for success. 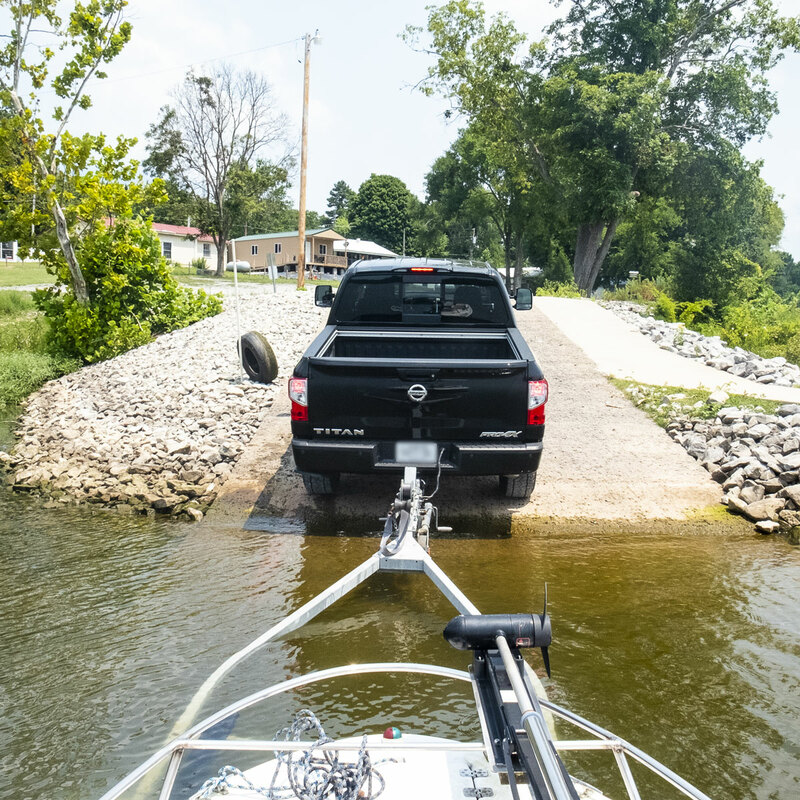 If you’re new to backing up a trailer, choose a time when the boat ramp is empty. Saturday during the summer is probably not the best time to practice your backing up skills. You have to be able to see the trailer to back it up. In the beginning, it can be helpful to open the tailgate or liftgate and lay down a seat or two to get a better view of where the trailer is going. Launch ramps are sometimes curved, and at times can be steep. Being able to look back and see exactly where the back of that trailer is headed helps a lot. 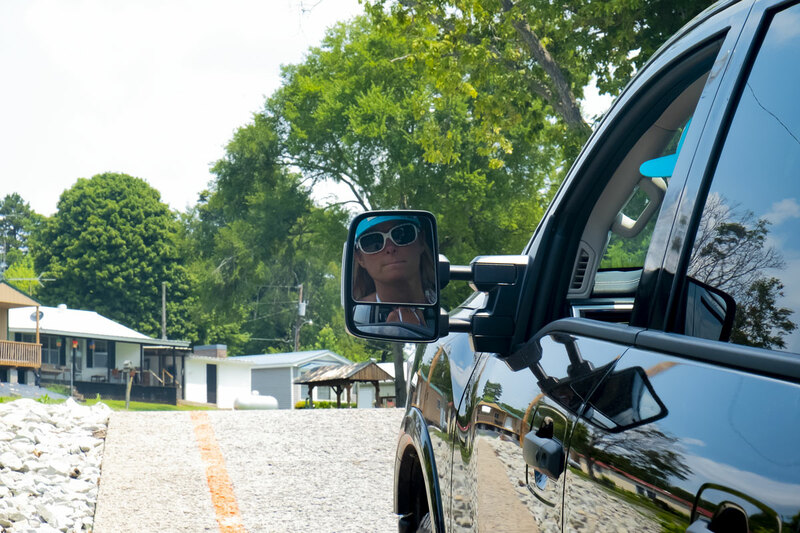 Mirrors are fine once you're comfortable with the trailer, but don’t be afraid to open the back. You may get a few odd looks, but it’s better than the look you’ll get after bottoming out your trailer on the side of the ramp. If you can, start out with your vehicle and trailer in a straight line aimed down the ramp. Having to turn a trailer while backing is not hard once you get the hang of it, but it makes the process a whole lot easier if you start out in a straight line. To get the trailer to move in the right direction, place your hand on the bottom of the steering wheel. With your hand on the bottom of the wheel, it’s easier to remember which way to turn. Want the back of the trailer to turn right? Simply move your hand to the right. Want the back of the trailer to turn left? Simply move your hand to the left. Ask for help when needed. A partner outside the vehicle may be super helpful. Instead of yelling, to each other, hand signals work well. As a standard rule of thumb, pointing to the left means the trailer needs to go left, pointing to the right means the trailer needs to go right. A fist means to stop, and waving forward or back lets you know it’s clear to keep moving in that direction. Take your time. Unless you’re participating in some race, you don’t need to set a land speed record. Take your time and think about what you need to do to get the boat in the water. Just like there are times to untangle your knots and times to cut your losses and tie a fresh leader, the same is true for backing up your trailer. Don’t be afraid to pull forward and begin again if the trailer is starting to move in the wrong direction. Trying to correct a wayward trailer can sometimes be a lot harder than just pulling forward. Pull forward just enough to get the trailer straightened out and begin again. I would venture to say that very few of us were gifted with the backing-up-a-trailer-gene. Practice makes perfect. Realizing that everyone starts out with a jackknifed trailer on the ramp at some point will make it easier to laugh at yourself when you have to start over … for the fifth time. It’s important to note that the shorter the wheelbase and the lighter the trailer, the harder it is to back up. Light trailers can bounce, causing them to move unexpectedly and veer off course. Trailers with a short wheelbase (think kayak and drift boat trailers) will be twitchy and won’t want to stay straight during the back-up process.